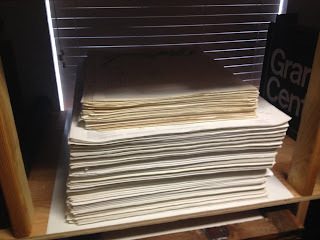 We are making progress in finding homes for many of the historical materials in the AZGS library in preparation for closing the Tucson headquarters and relocating to the University of Arizona. We have over 21,000 copies of topo maps covering all ~2,000 quadrangles in the state, plus another ~10,000 copies of older editions and the 15" quadrangles that are out of print. 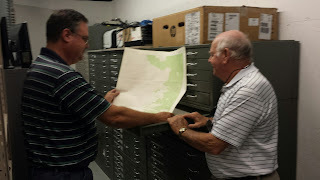 Earlier this week, Steve Whisel, with the non-profit Arizona Railway Museum (www.azrymuseum.org) in Chandler, along with his father Ron, were in our basement, pulling copies of each of the quads for the museum's files. Steve gave an example of how they will be using the older maps. 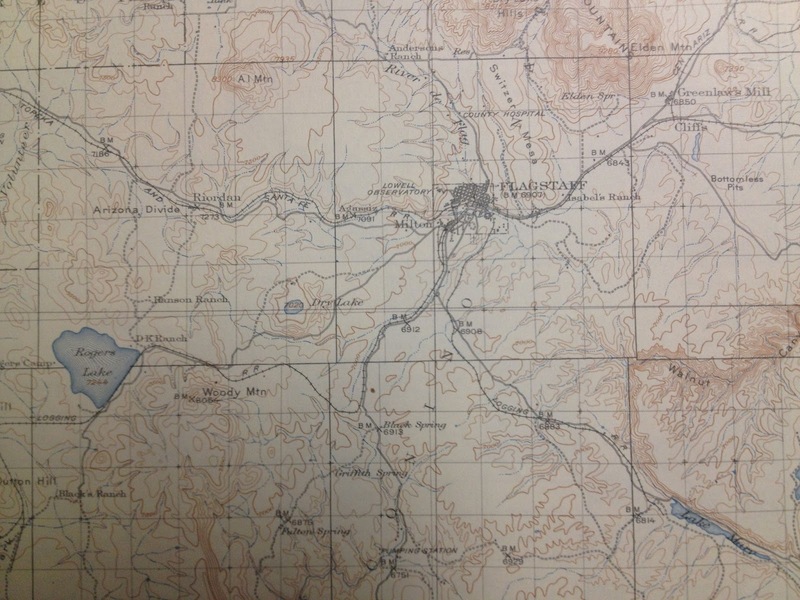 The 15" map of Flagstaff below shows some of the lumber company lines running NE/SE/SW. 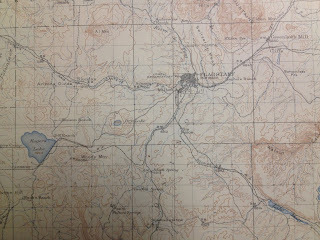 Steve was aware of the NE and SE lines (he says "some fool thought he was going to tunnel under the Mogollon Rim and connect to Globe"). But he was unaware there was a branch line out past Rogers Lake. A number of groups including the State Archives, State Library, UA Government Documents Library, and others are taking large amounts of historical Arizona materials in our library. But there is still much material remaining that we won't have space for it all in our downsized space at the university.